Britain’s fight against Islamic State (IS, formerly ISIS/ISIL) is being derailed because of Prime Minister David Cameron’s refusal to let special forces hunt and kill jihadist leaders, military figures claim. 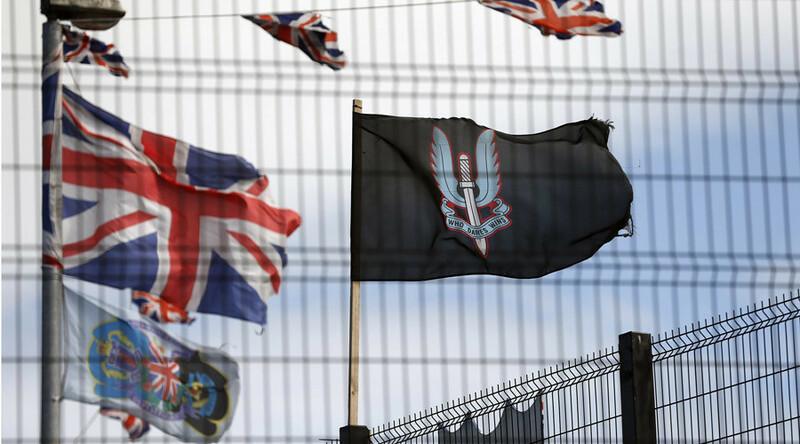 UK special forces will not be allowed to track and kill jihadist leaders around the group’s Syrian capital Raqqa, the Sun newspaper reported on Wednesday. It is alleged Cameron fears the political fallout from anti-war MPs if casualties are sustained. There is also a legal minefield surrounding extrajudicial killing overseas. “We have an SAS squadron in Kurdistan, but they aren’t allowed to cross the border because of political restraints. We could be doing so much more, and it is frustrating,” the source claimed. Former soldier turned Tory MP Johnny Mercer shares the same view and is willing to put his name to it. In a comment piece for the Sun on Wednesday, he rejected recent calls by the Scottish National Party (SNP) for more transparency over special forces operations and said the work of elite units is essential. “We are all nervous of foreign adventures turning bad,” the Afghan war veteran said. On Tuesday evening General Sir Richard Dannatt, former head of the British Army, criticized Cameron over the UK response to the recent Russian bombing campaign in Syria. “The Russians are now all over this like a rash, which makes it a lot harder for us to be,” he told the Sun. “While we vacillated, Vladimir Putin has trumped us. We dithered too long, while he acted decisively,” the ex-general added.